The types of aches and pains we can experience in our feet and ankles seems endless sometimes, doesn’t it? Surely, it doesn’t have to be - but talking about it and addressing the problem with your podiatrist is the first step to feeling better. Get it… step? Anyways, this week it’s time to focus on the aches and pains that localize in our heels! Pain in the heels can be especially troublesome. 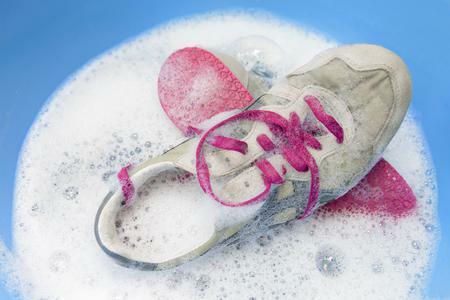 Typically, heel pain becomes most apparent when you’re being active. Certain activities like standing, walking, climbing stairs, and especially running or jogging are quick to alert you to painful heels. Unlike the arches or pads of our feet, our heels have much less cushion to them. The bone within our heel comes to a point that faces downward towards the ground - when the bone and its surrounding tendons, ligaments, and muscles are sore, you will surely know it. Sometimes pain in our heels is simply from fatigue and overuse, such as having walked much longer distances than you’re used to or doing so in less supportive shoes. Thankfully, this can be relieved simply by resting! 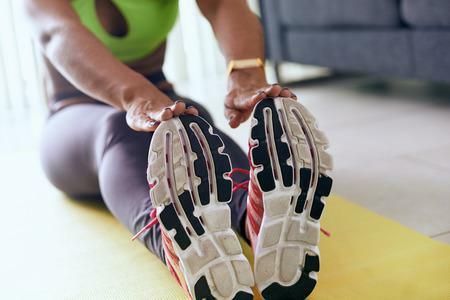 However, repeatedly experiencing fatigue or always using shoes with poor support for your physical activities can lead to developing long-term issues. The most common long-term issue to develop is called plantar fasciitis, which occurs after repeated fatigue and overuse of your heel leads to tiny tears in the ligament that stretches from your heel down the arch of your foot. 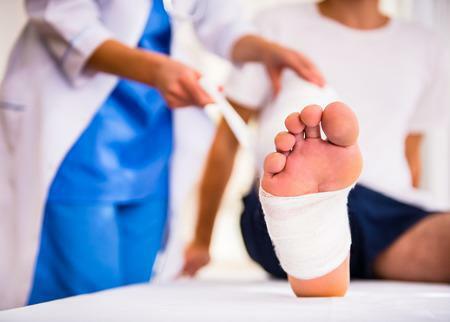 Plantar fasciitis is painful but it’s not permanent - it can be treated with simple at-home remedies, like switching to orthotics, or in severe cases, it can be surgically corrected. If heel pain puts a damper on the spring in your step, don’t wait another day - give Dr. Les J. Glubo and Dr. 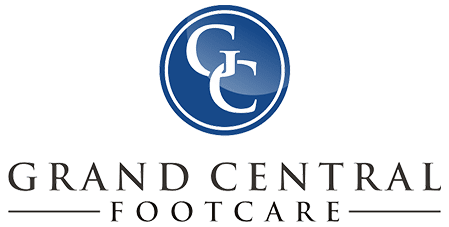 Dawn Figlio a call at Grand Central Footcare in New York City at (212) 697-3293! Easily request your next appointment online, mark it on your calendar, and reward yourself for making your health a priority!